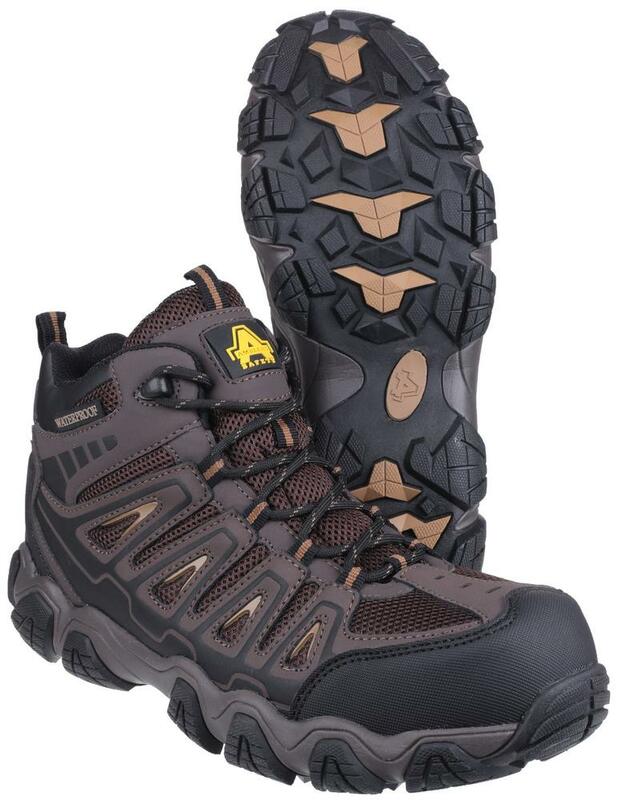 Safety footwear with Lightweight 200J composite toe cap with scuff guard overlay. Non-Metallic / composite midsole gives underfoot protection whilst allowing the feet to flex for added comfort. 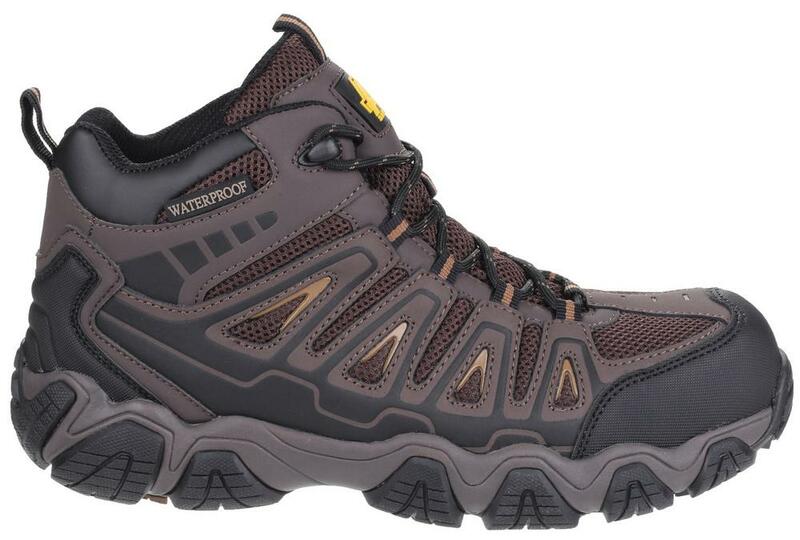 Hardwearing and Comfortable antistatic EVA/Rubber sole with energy absorbing, heat resistant Heel. For unique fitting and cushioning comfort Memory foam footbed - moulds to the shape of the foot. 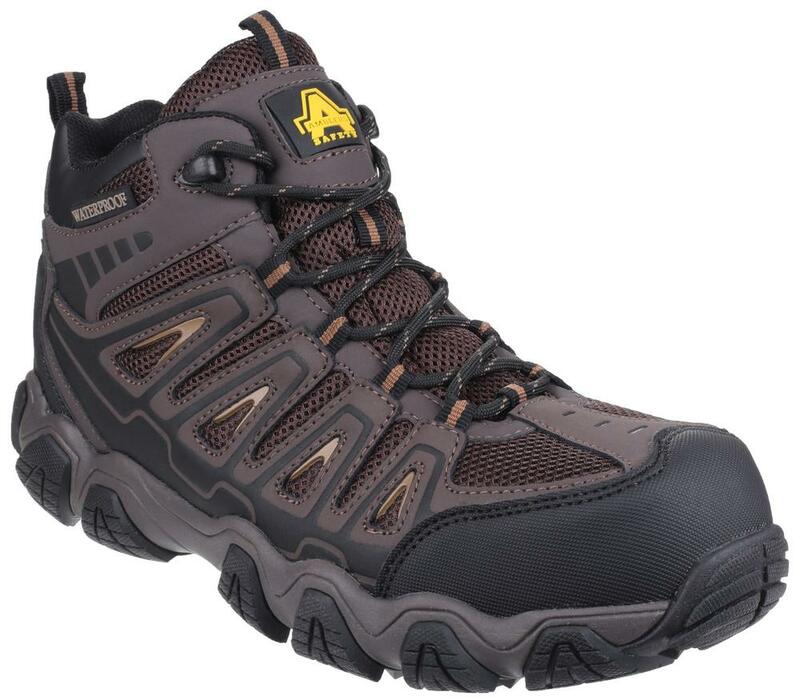 Amblers AS801 safety hikers are crafted with a rugged water-resistant action leather and breathable mesh upper. More comfort with Internal waterproof membrane with moisture wicking mesh lining. Penetration resistance. Antistatic. Resistant to water penetration/absorption. Toe Protection. 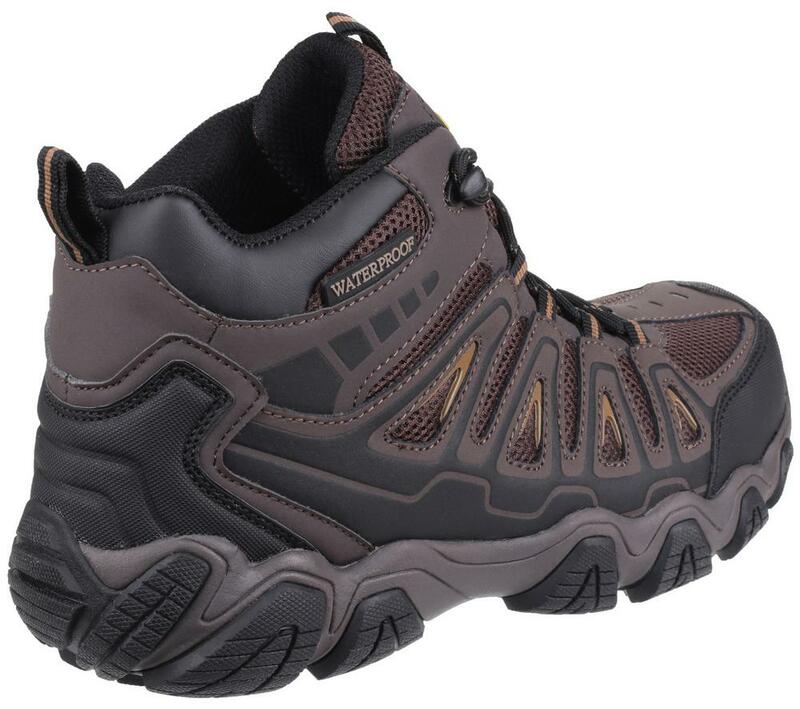 Outsole resistant to hot contact. Energy absorbing seat region. Slip Resistance. Composite are lighter than steel. This means you’ll expend less energy when walking and the boots will actually feel more comfortable. EN ISO 20345 compliant. More comfortable and lightweight, give your toes protection against impact up to 200 joules (or 20kgs dropped from 1metre) and compression up to 1.5 tonnes.